Charley H. Hulgan died 57 years ago today. He was 73 years old. Charley is Ella and Mason's 2nd great-granduncle. Charley's parents are John Miller Hulgan and Ruth J. Copeland. Their second child Thomas Franklin Hulgan is Ella and Mason's 2nd great-grandfather. Claudie Elizabeth Naugher is 123 years old today. Claudie is Tara and Calum's great-grandaunt. She died September 2, 1961, living to be 72 years old. Claudie's parents are Moses Service Naugher and Sallie E. Savage. They had 7 children with Claudie being the 3rd and the 6th being Horace Savage Naugher, Tara and Calum's Great-grandfather. Joseph D. Savage died 135 years ago today. He was 11 months and 10 days old. Joseph was the 10th of the 17 children that Frances Marion Savage and Frances Matilda Stewart had. Joseph is Tara and Calum's 2nd great-granduncle. Arabella Victoria Stewart is 157 years old today, born in 1855. Bell is Tara and Calum's 3rd great-grandaunt, sister of Frances Matilda Stewart who married Frances Marion Savage and begot the 17 children we always talk about. Bell and Frances are the 7th and 1st born to John Thomas Stewart, of Civil War fame, and Emily Caroline Bale, Tara and Calum's 4th great-grandparents. Nancy Stewart is 194 years old today, born in 1818. Nancy is Tara and Calum's 4th great-grandaunt, the sister of the aforementioned John Thomas Stewart. Mary Evely Stanford died 38 years ago today in 1974 at the age of 96. Mary is the boys' 1st cousin 4 times removed, the daughter of 3rd great-granduncle, John Thomas Stanford, the brother of 3rd great-grandfather, David Stanford. Elba Wooden is 149 years old today, born in 1863. Elba is the boys' 2nd great-grandaunt. Her parents are Andrew J. Wooden and Amanda Johnson, the boys' 3rd great-grandparents. Joseph R. Wooden is Elba's brother. Elba married Frederick Songer Young and had 3 children, Pearl, Winifred and Verle Wooden Young. They are all the boys' 1st cousins 3 times removed. Pearl married a Cantrell and had two children Carl and Lee Cantrell, they are both the second cousins. Verle Wooden Young married Edith Tippetts and had 5 children Darrell, Verline, Guy, Winifred and Jean M. Young these are also 2nd cousins twice removed. Maurine Martin died 17 years ago today in 1995 at the age of 87 in Tucson Arizona. Maurine is the wife of the boys' 3rd cousin 4 times removed, Henry Abraham Wooden, whose father is 2nd cousin 5 times removed, John Henry Wooden, the son of 1st cousin 6 times removed, Abraham Wooden whose father is 5th great-granduncle, John Wooden, the brother of 5th great-grandfather, Robert Wooden. Jeremiah Sims died 244 years ago today in 1768. Jeremiah is Steve's 6th great-grandfather. 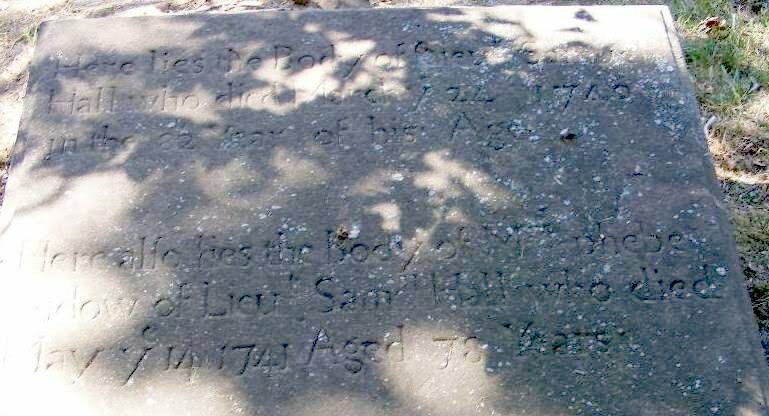 He married Agatha Nalle in Virginia in 1753 and begot James Sims in 1754. James and Jeremiah were two of the listed pioneers of West Virginia. James Johnson and Mary Magdelaine Le Fevre's 188th anniversary is today. They were married March 4, 1824 in Salem, Washington, Indiana. James was 20 and Mary 17. They had 10 children together, with Amanda Johnson being the 5th child. Amanda married Andrew J. Wooden and are the boys' 3rd great-grandparents. Leler Jane Myer is 130 years old today, born in 1882. Leler Jane is the kids' 2nd great-grandaunt and the 3rd child of the 6 that Dedrick Henry Meyer and Lucy E. Burnett had. Major Nathan Gold Sr. the boys' 10th great-grandfather died 319 years ago today in 1693. Born December 14th 1623 in Fairfield, Connecticut Nathan married Sarah Phippen May 14, 1660 also in Fairfield. They had one child Nathan Gold Jr. born in 1663. Nathan died and is buried in Fairfield. Martin Van Buren Brown is 175 years old today born in 1837. Martin is the boys' 3rd great-granduncle. Martin is the second of the 12 children that Resin D. Brown and Rachel Earnest had. The 4th, Charlotte Brown is the boys' 3rd great-grandmother. Elizabeth Blake died 292 years ago today in 1720 at age 41 in Middlesex, Connecticut. Betty is the boys' 1st cousin 10 times removed. Her mother is Sarah Hall the sister of the boys' 9th great-grandfather, Samuel Hall (1658-1740). Samuel married Phebe Ward December 6, 1683 in Middletown, Connecticut and begot their first born of 6, Experience Hall in 1684.